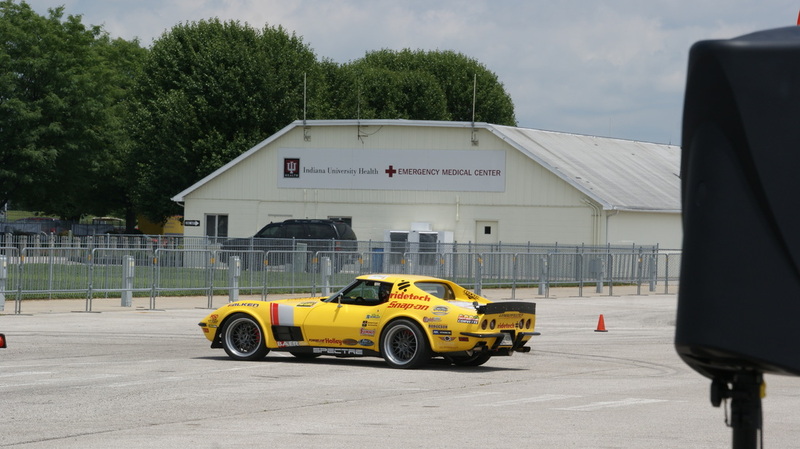 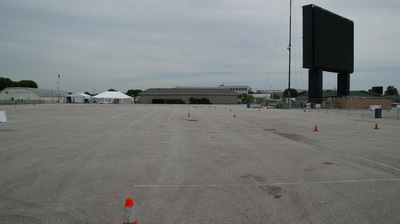 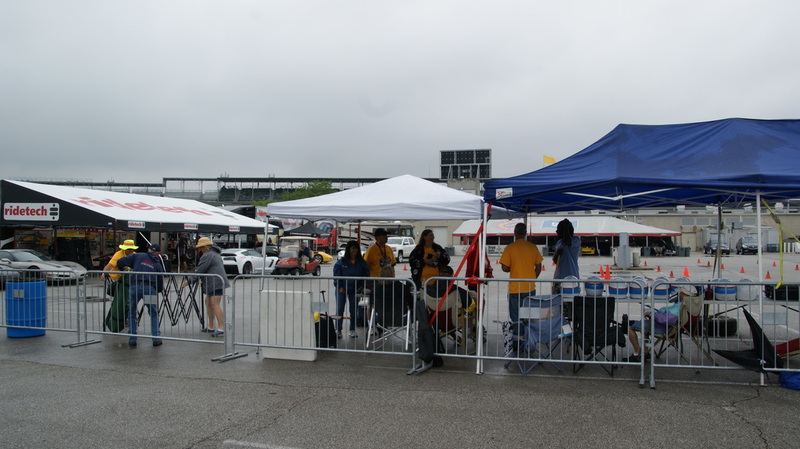 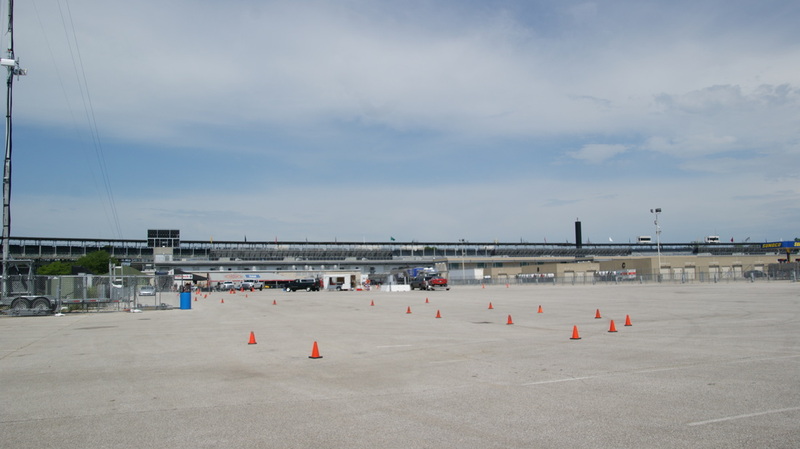 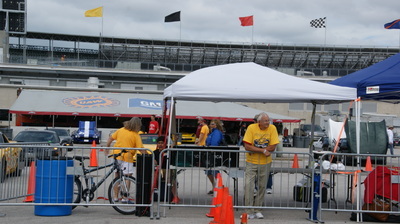 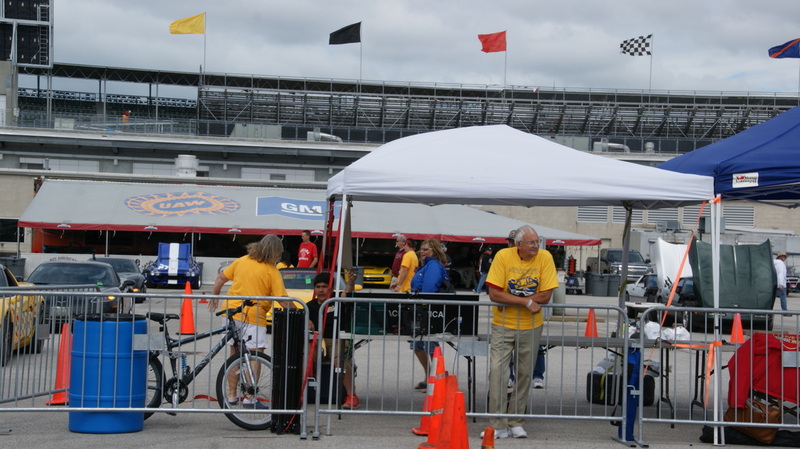 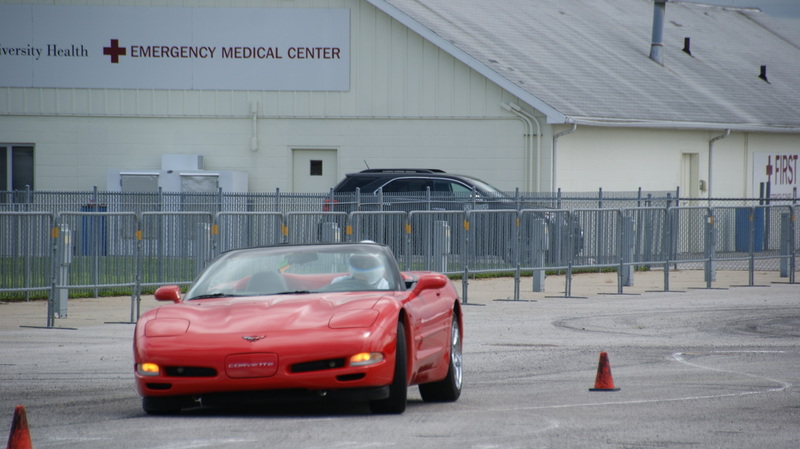 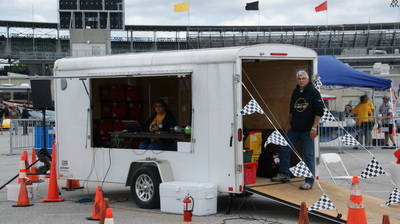 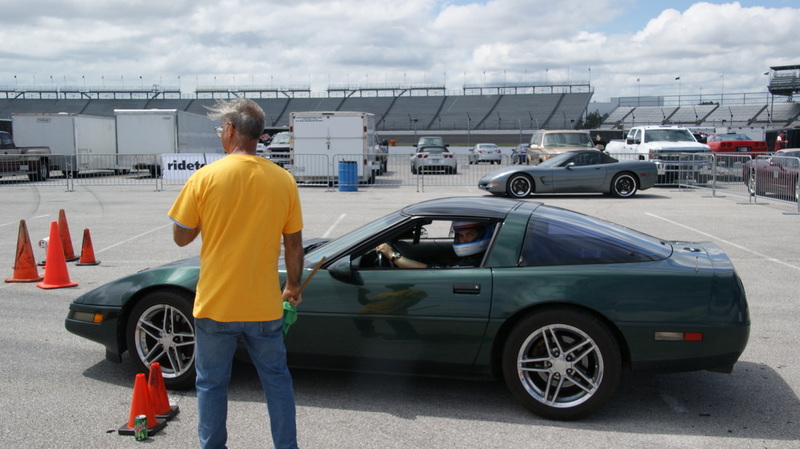 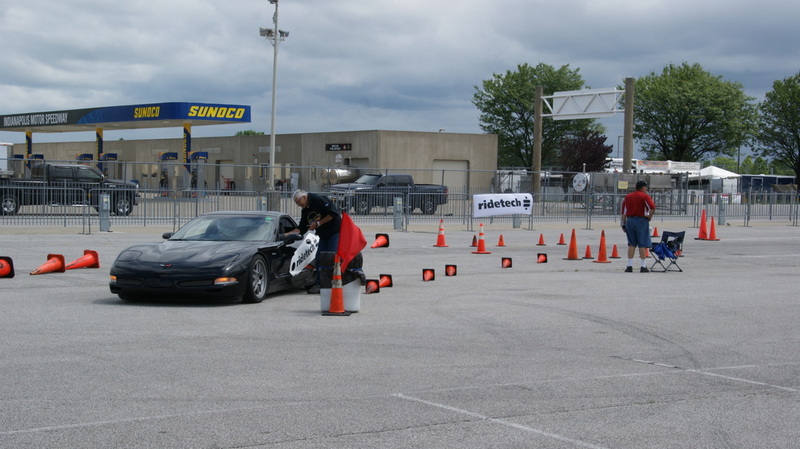 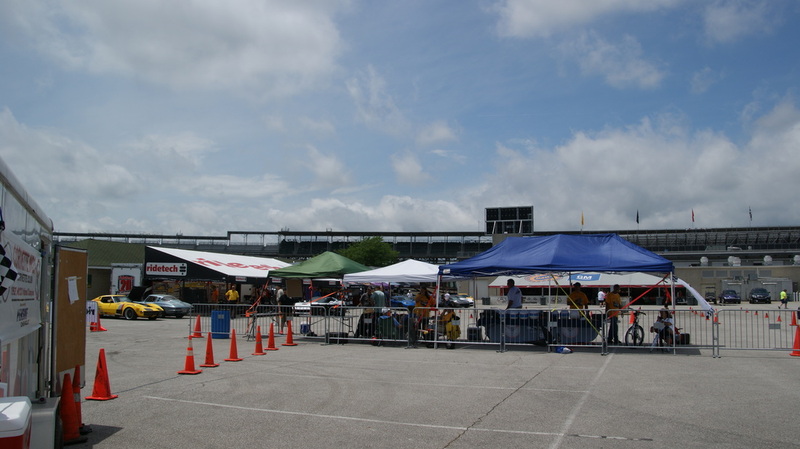 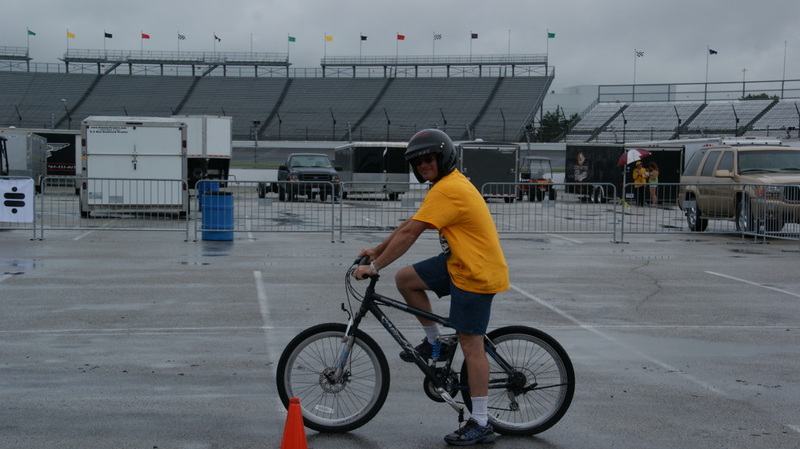 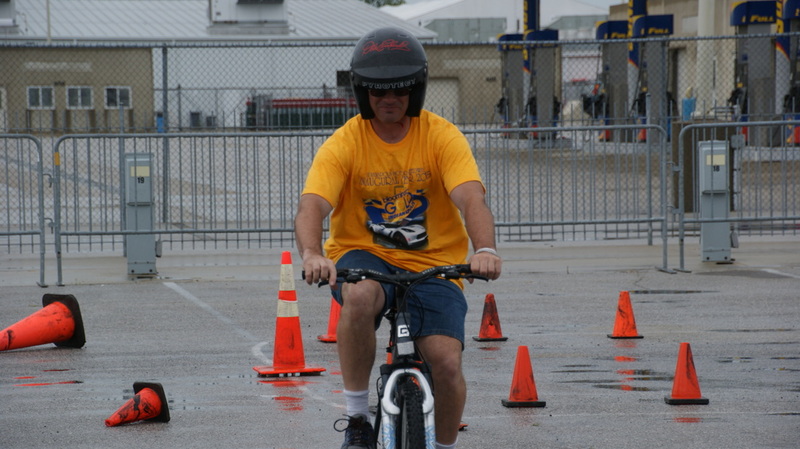 Bloomington Gold moved their venue to Indianapolis Motor Speedway for the first time this year and decided to reinstate autocross as one of their events. 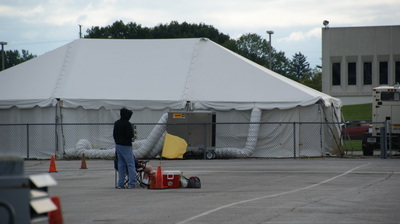 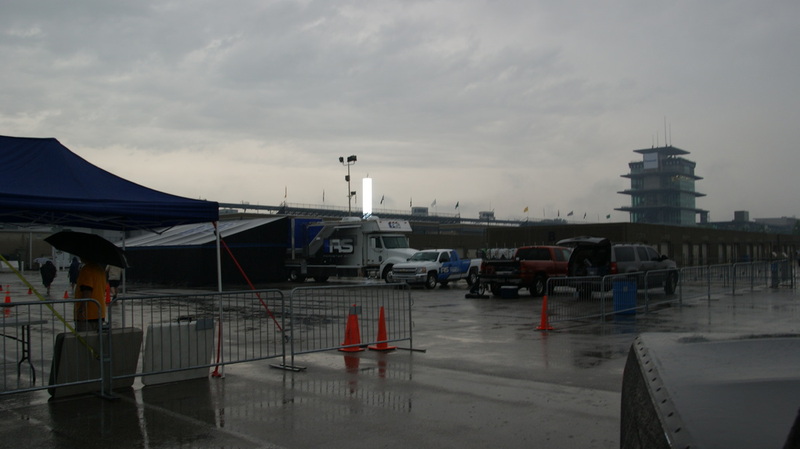 The NCCC was asked to supply the equipment and man power to operate the racing event and the Indiana Region took up the challenge. 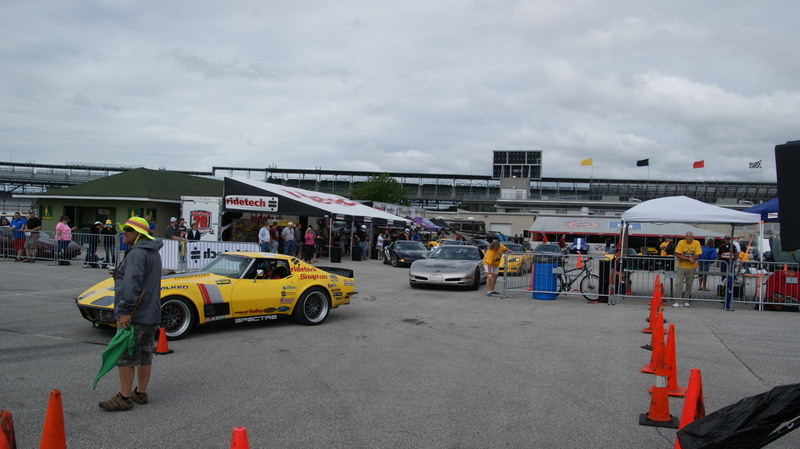 To make it happen Corvette Indy supplied the timing equipment and trailer to use during the event, while 7 clubs supplied the man power. 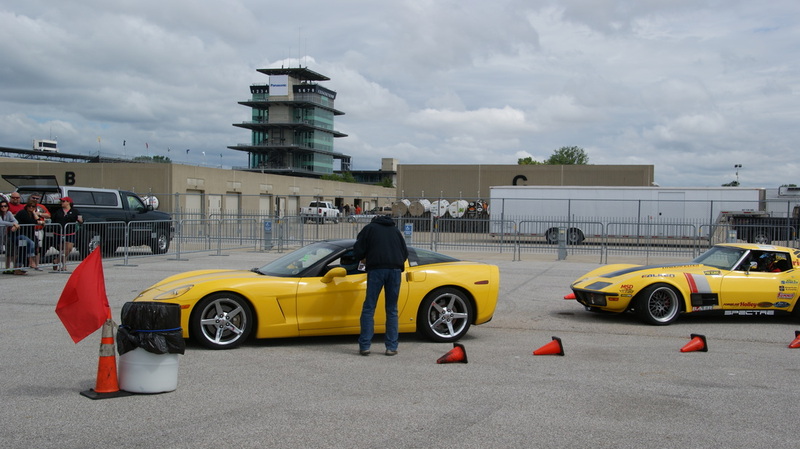 Those clubs were Indianapolis area Corvette Indy, Hoosier, Circle City, and Indianapolis Corvette Clubs. 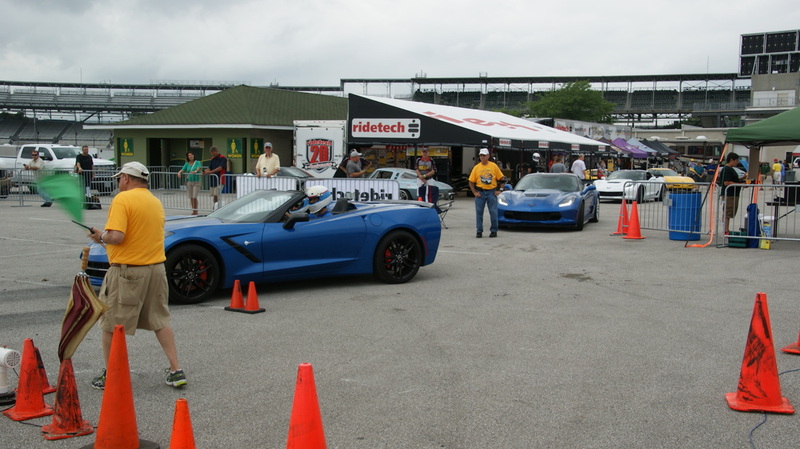 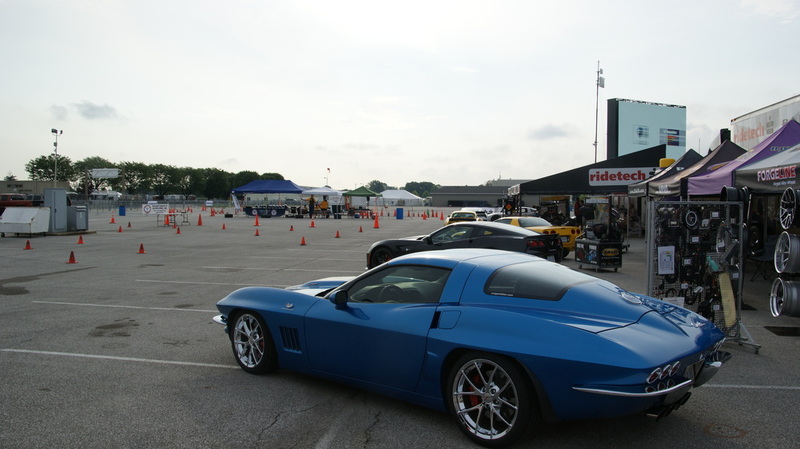 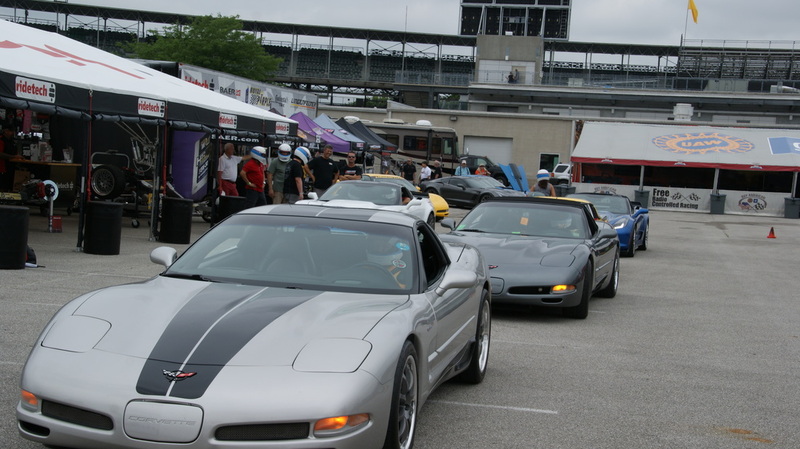 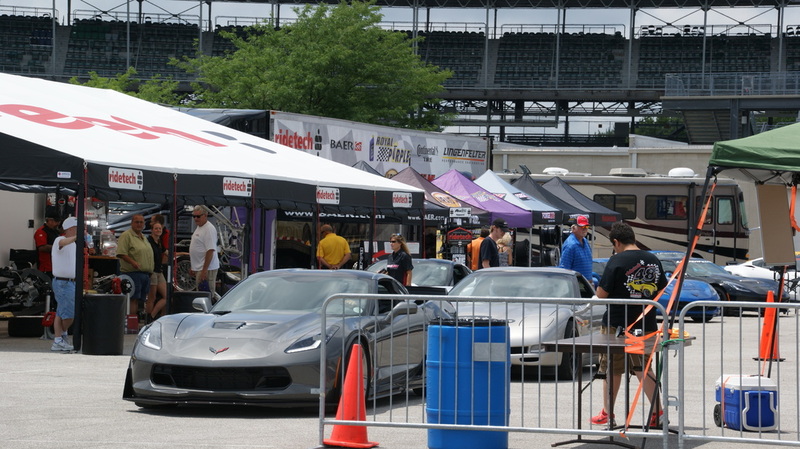 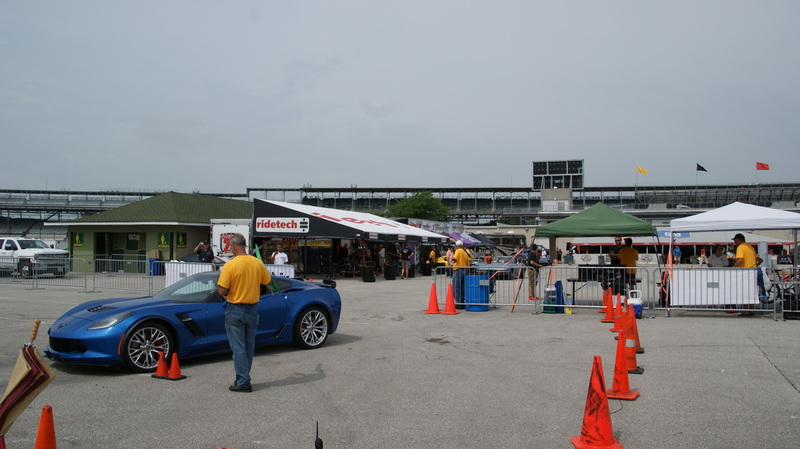 While outside the Indy area Fort Wayne, Elkhart Vette Set, and Michiana Corvette Clubs had members come down and stay over for the multiple days of events. 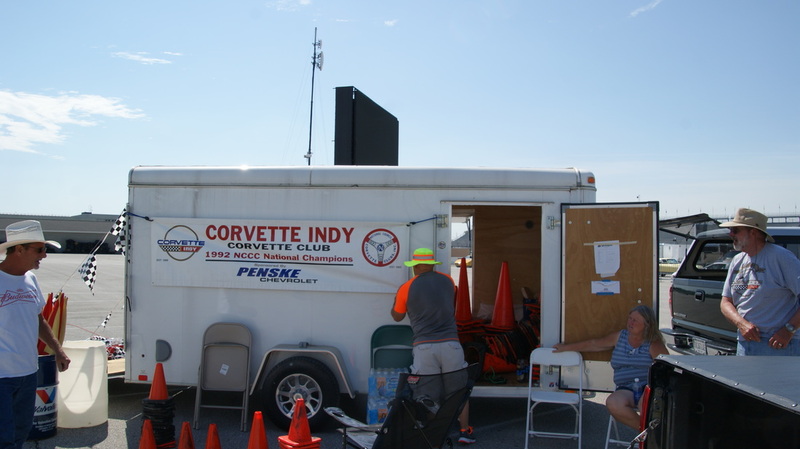 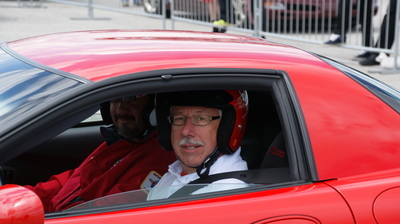 Our region's RE Mike Godfrey, RCD David Godfrey, along with Butch DeWitt, Corvette Indy's governor, were also there each day overseeing the course setup and being on hand to tech and answer autocross related questions. 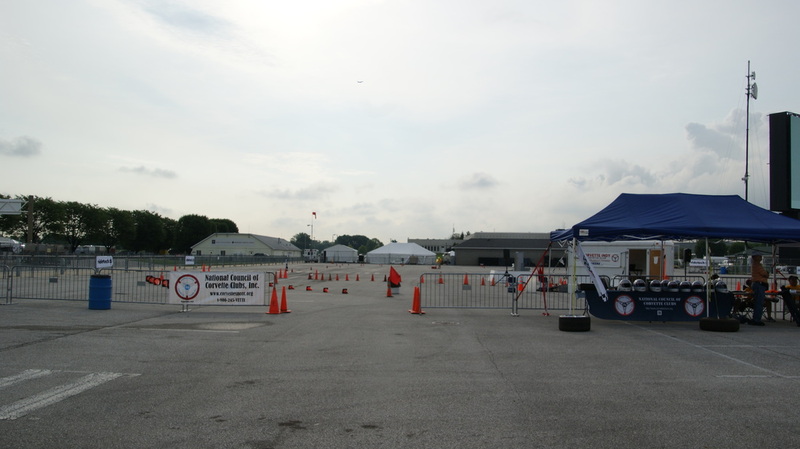 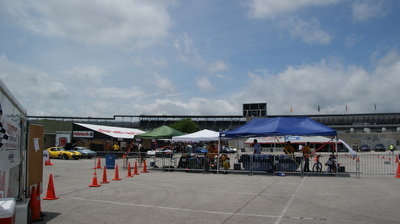 The three days plus a setup day took a lot of man hours to assure a safe and fun event for the competitors, with a number of them doing their first ever autocross. 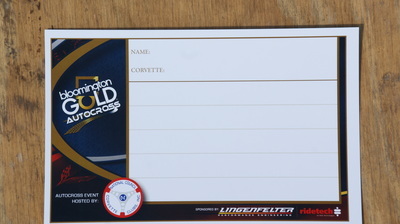 The Gold Autocross was sponsored by Lingenfelter Performance Engineering and Ridetech Air Ride Technologies. 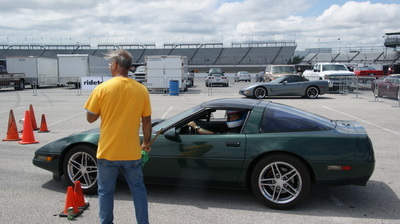 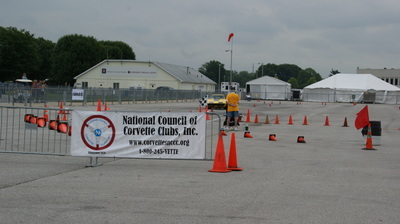 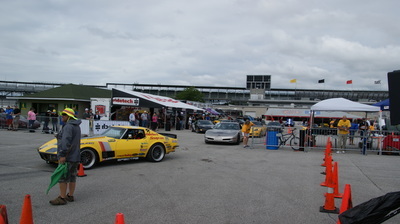 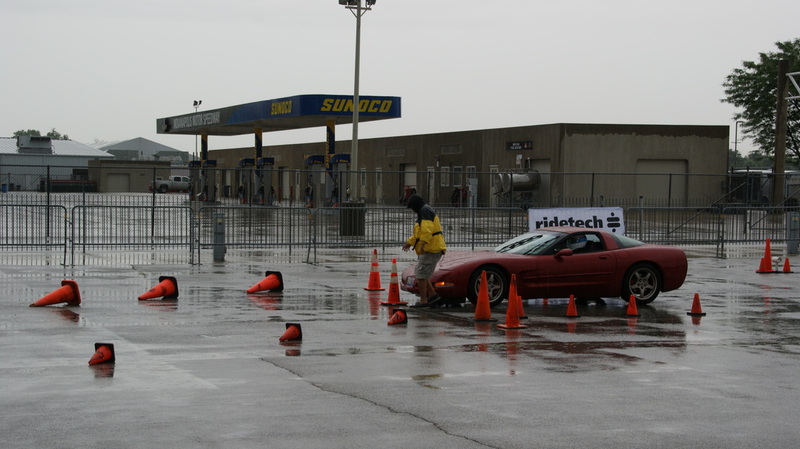 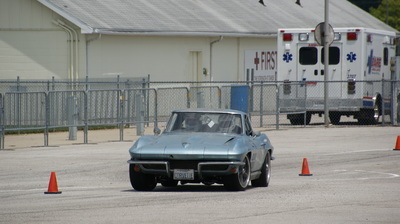 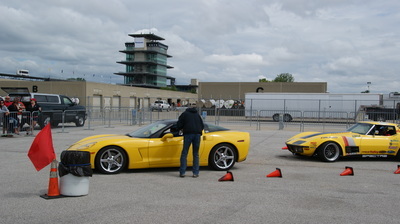 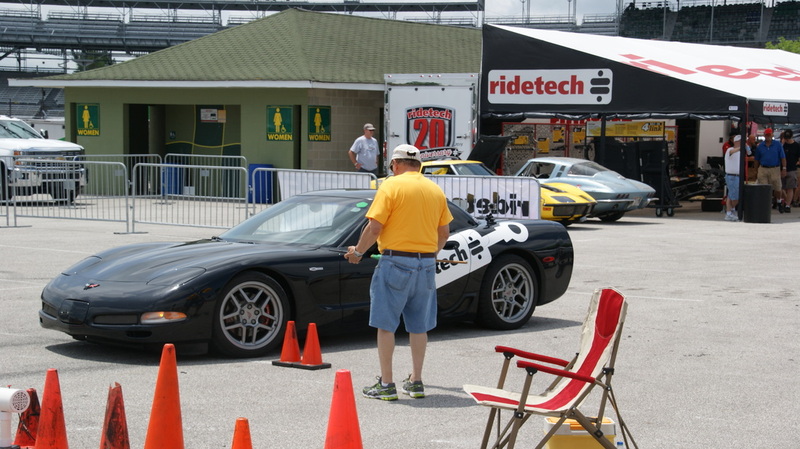 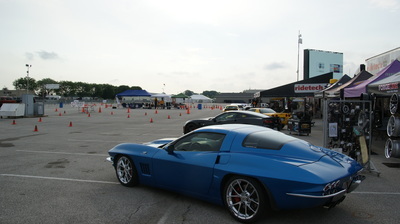 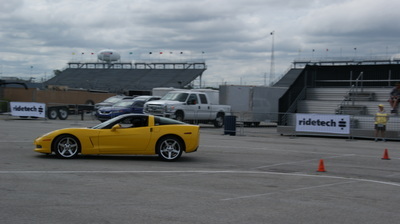 The two sponsors brought Corvettes setup for autocross along with professional drivers to drive them. 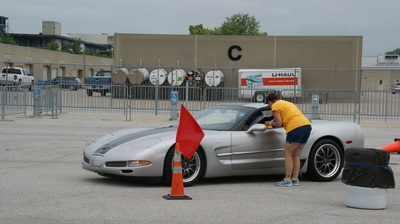 Bloomington Gold attendees were offered a ride along in those cars and a lot of them were given out. 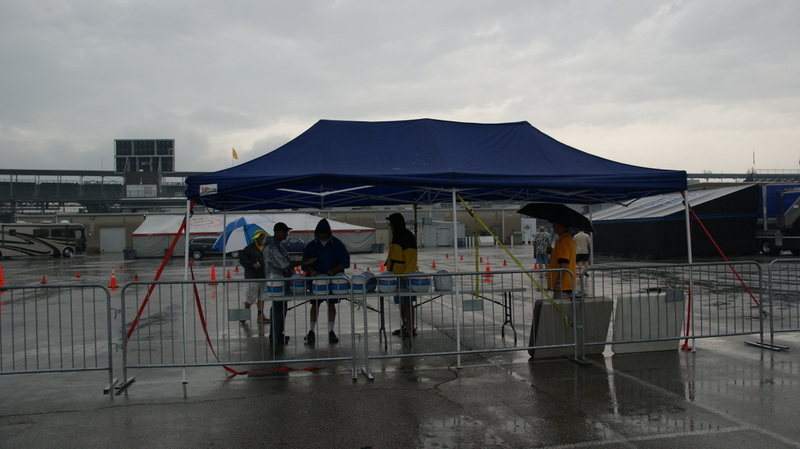 Unfortunately Thursday morning started out with rain, so no runs were made until 1, but nearly 200 runs once they got started. 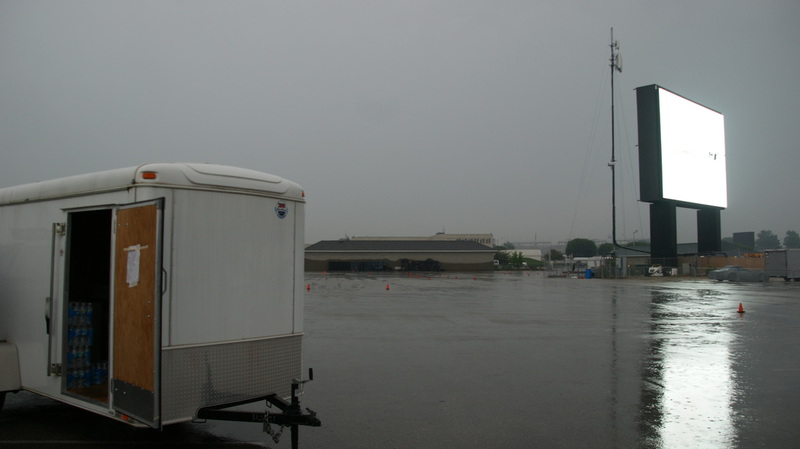 On Friday it was just the opposite with around 200 runs being made in the morning before the skies opened up in early afternoon. 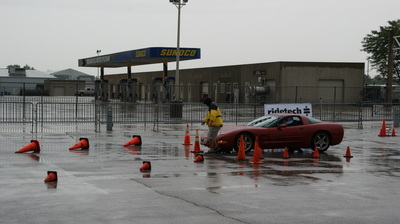 The workers stuck it out until 5, with one Corvette from Illinois taking his runs he had paid for in the rain before heading home. 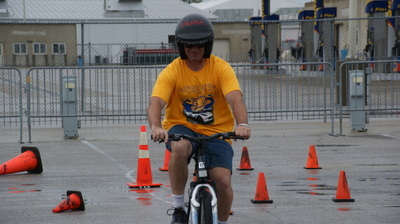 The day's last run was done by David on his bike in the wet where he had a 29.7 time. 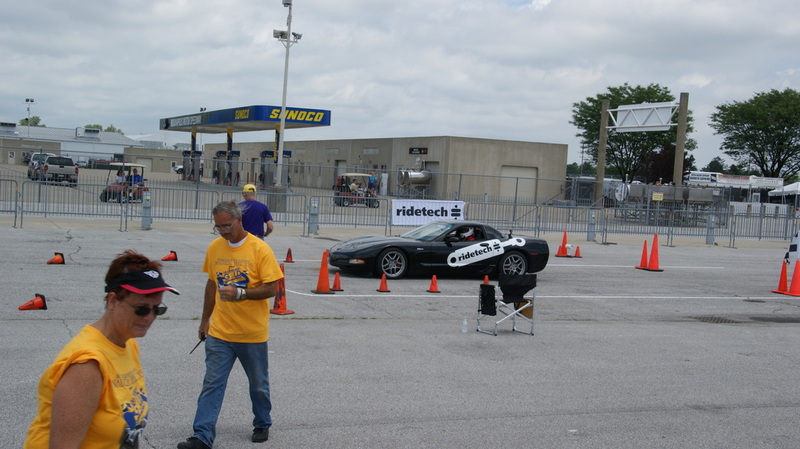 Saturday's weather finally was nice and over 550 runs were made by a number of attendees in their Corvettes plus the ride along runs of the Ridetech & Lingenfelter sponsored cars. 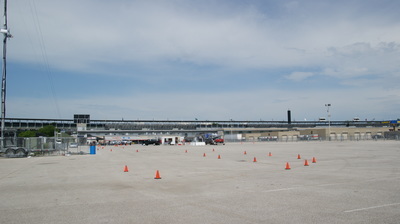 A best time of 18.7 was gotten by Danny Popp, while most of the professional drivers were in the high 19's to low 20's during the 3 days of running. 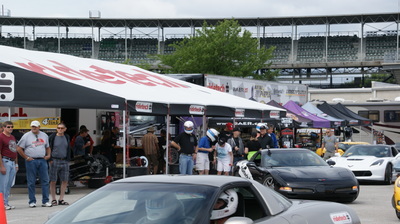 The region also wants to thank folks at Indy Races Experience of the Dellara factory for loaning us helmets to use during the three days. 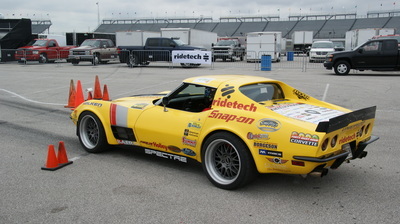 This allowed for much quicker ride along and driver swaps. The three days went well other than the weather being the only issue.